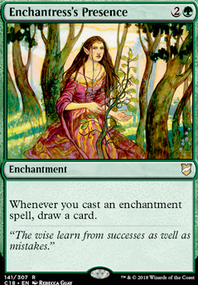 ...then toss in Tithe to go search up Mistveil Plains and put all those cards back in your library to use again. Funkydiscogod and speedchicken29 thanks for the recommendations, i really liked the ideia of Venser's Journal, Retaliate and Isochron Scepter. Unfortunately Leyline of Sanctity is too expensive and the ideia of this deck is to use cheap cards except Emrakul, the Aeons Torn and Sigarda, Host of Herons hahahah but the idea of Ivory Mask is nice !!! Maybe Hallow would be worth considering for noncreature decks like burn? I think Ethereal Haze is your best fog. Properly timed, it can stop a creature from killing you in a noncombat way. You should get 4 of those. Do you have enough card draw to make a Venser's Journal worthwhile? A one-of Retaliate might be worth a few laughs, since they're probably going to be swinging all in against you every turn; skip the fog for one turn, and instant wrath them. 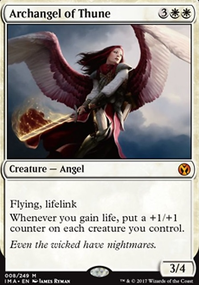 Some of your cards, like Filigree Angel, want to be in a deck with a TON more artifacts than you actually have. Those are the cards I'd cut first. 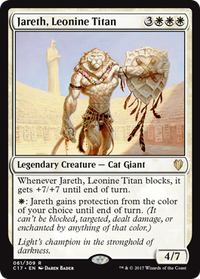 Next, I'd take out cards that want you to attack, like Odric, Lunarch Marshal, It That Betrays, and Archetype of Imagination, since a gain'n'drain build doesn't really want that as much as it wants protection and deterrence. 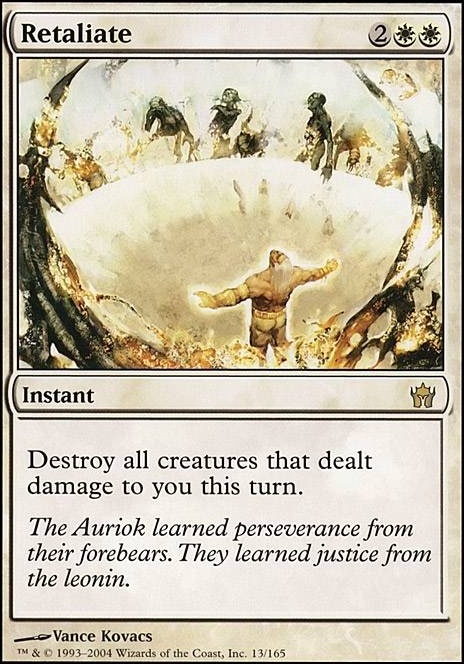 Then, I'd take out some of your removal encahntments like Banishing Light in favor of WB "unconditional" removal like Anguished Unmaking and Utter End or WB board wipes like Retaliate and Fell the Mighty. As far as cards to put in, I'd shoot for some more of those explosive combos that this deck does so well. 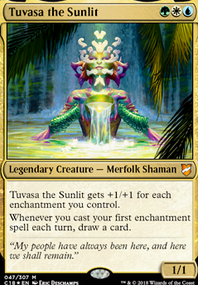 Ayli, Eternal Pilgrim is nuts with Serra Avatar and Vizkopa Guildmage, as is Cradle of Vitality. 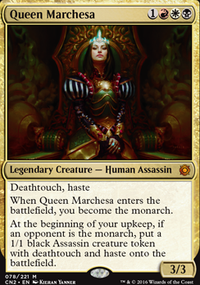 I'd put in more card draw like Underworld Connections and Greed (Oloro is an expensive and easily-killed commander, so don't always rely on his second ability). In general, I'd say you need to take out cards that don't enable your primary win conditions or help you survive long enough to find those win cons. However, that's not to say that this isn't a well-thought-out and explosive deck, because it certainly is. Good luck! and mention me in the comments if I can do anything else for you. Your maybeboard has some real gems! Especially fond of Martyr's Bond! Also a Sunforger with 3 targets only is a very sad Sunforger... It's meant to be the answer-stick! Get that Chaos Warp, Oblation, Terminate, Mortify, Return to Dust, Into the Core, Retaliate, Wild Ricochet, Utter End and Anguished Unmaking... maybe even a Master Warcraft? That, or remove Sunforger since it won't be doing much for you as a +4/+0 buff. Abeyance/Orim's Chant/Silence no explanation necessary! Bind/Lapse of Certainty/Mages' Contest a surprise counter is always useful. -1 Retaliate, +1 Wave of Reckoning.